How do you GO? Click on the icons below to see free mobile apps to help you get around by any mode. The Transit App serves as a real-time urban travel companion, helping you navigate public transit system with accurate real-time predictions, simple trip planning, step-by-step navigation, service disruption notifications, and departure and stop reminders. GO Buffalo Niagara works with 511NY to bring you an online carpool matching system. Create an account or log-in to your existing account. The NITTEC Mobile App provides real-time travel information at your fingertips for the Buffalo-Niagara region. Buffalo Roam, the official mobile payment parking app for Buffalo, provides users with the convenience of handling the entire parking experience from their smartphone. 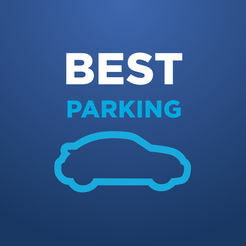 Park, pay, extend, and manage your parking session from your fingertips. Parking Panda allows you to easily and quickly search for, reserve, and redeem parking in Buffalo and at thousands of parking lots and garages in over 40 US cities plus Toronto and Edmonton. Passport Parking, the parking payment app that provides technology nationwide to millions of customers, has partnered with Allpro Parking to provide services for over 1,400 spaces across the Buffalo area. This includes 10 off-street parking lots. Use the Zipcar App to search for available Zipcars nearby, book a car or extend a reservation. From your phone, you can lock or unlock the doors, and even honk the horn! Waze is the world’s largest community-based traffic and navigation app. Join drivers in your area who share real-time traffic & road info to save time, gas money, and improve daily commuting for all. Just by driving with Waze open, you’re already contributing tons of real-time traffic information to your local community. You can also actively report accidents and other hazards you see on the road. Get road alerts along your route and find the cheapest gas prices around you shared by the community. Migo is a free mobile search app that allows users to search, compare and hail multiple types of personal transportation without having to jump from one app to another, and now includes Uber, Lyft, Curb, Yellow Cab, Lime, and more. Migo also shows public transit options once you add a destination. The Migo app displays real-time data for price estimates and wait/walk time - and makes it possible to search, hail and book a ride, all from within the Migo app. You can use the Social Bicycles App to find the nearest Reddy Bikeshare bikes, hub locations, promotions, and more. Ensure that your phone’s GPS is enabled to find bikes available nearby. 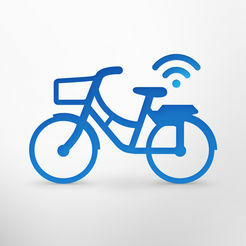 You can also use a desktop to visit app.socialbicycles.com and choose your pass to get started. Spinlister is a peer-to-peer bike sharing app that allows you to list or book a bicycle to rent by the hour, day, or week. This is a great option for short-term bike rental, or if are looking to earn some extra income from a bike you aren’t using. Bikes are listed with a photo, height range, and reviews from previous renters – so you know exactly what you’re getting. Nervous about renting your bike out? If your bike is damaged or stolen during a rental period and the renter is unable to reimburse you for the fair value of your bike, Spinlister will cover the cost up to $10,000. Riide eliminates the guessing and stressing involved with booking a cab. With Riide, you are now only a tap away from your local driver, even during busy periods. Pick your vehicle type, book for now or pre-book for later and watch your driver arrive in real time. At the end of your journey have the option to pay by cash, card or business account and journey receipts will be sent via email. The Curb App allows you to hail and pay for taxis from your phone. You can book rides for now or later, connect with nearby licensed, fully-insured drivers to experience the safest ride on the road, track your ride on the map as it arrives to you, pay your fare with your credit card saved in Curb app and get an e-receipt, and rate your ride. The Wanderu App and web browser allow you to search for and book tickets for bus or train trips on hundreds of intercity carriers between over 2,000 cities across North America. The Amtrak App provides easy access to all the travel information you need: check your train status, board using your eTicket, book one-way, round-trip, and multi-ride tickets, get station information, and update reservations. The Greyhound App allows you to search schedules, book a trip, access Road Rewards, save with discounts, find your terminal location, and more. Users can only book trips originating in the continental United States on the app. The Discover Niagara Shuttle is FREE to ride – and it runs Sunday through Thursday from 9AM to 6PM. For Friday and Saturday, the shuttle runs from 9AM to midnight. View the Discover Niagara’s full schedule. If you have any questions about their schedule, please ask your driver or contact Discover Niagara. Download the Discover Niagara Shuttle App on the App Store or on Google Play – or visit the Discover Niagara tracking page to track the shuttles in real time during operating hours. The OATS provides public transportation service sponsored by the City of Olean for residents of the City and surrounding areas. For more information on the bus routes, schedules, and fares, visit the OATS webpage or call the City of Olean Department of Community Development at (716) 376-5647. The RTS provides bus service to the City of Rochester and the Finger Lakes Area, including the following Counties: Monroe, Genesee, Livingston, Ontario, Orleans, Seneca, Wayne, and Wyoming. The route network is extensive, and service remains just $1. For more information on routes, schedules, and passes, The visit the RTS webpage, or call (585) 288-1700. The RTS Where’s My Bus? App provides you with real-time bus tracking information and automatic arrival time notifications.